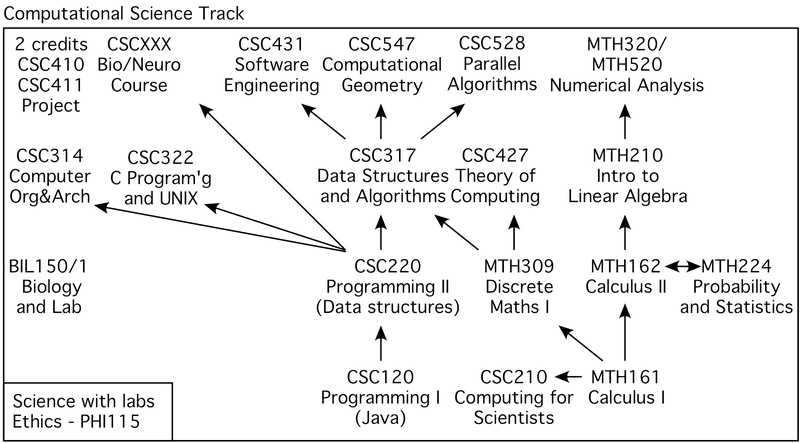 Students must complete the Core, a Track, and the Science & Ethics requirements. 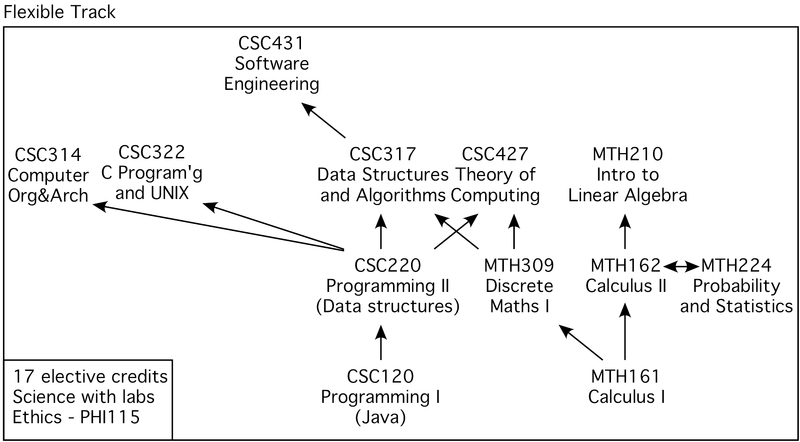 All Computer Science general requirements must also be met. 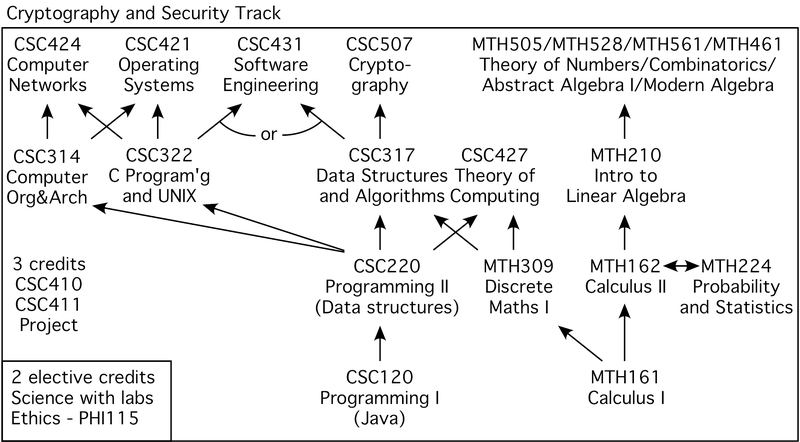 The Comprehensive Track provides coverage of the topics in Computer Science prescribed by the Association of Computing Machinery curriculum and the ABET Computing Accreditation Commission. 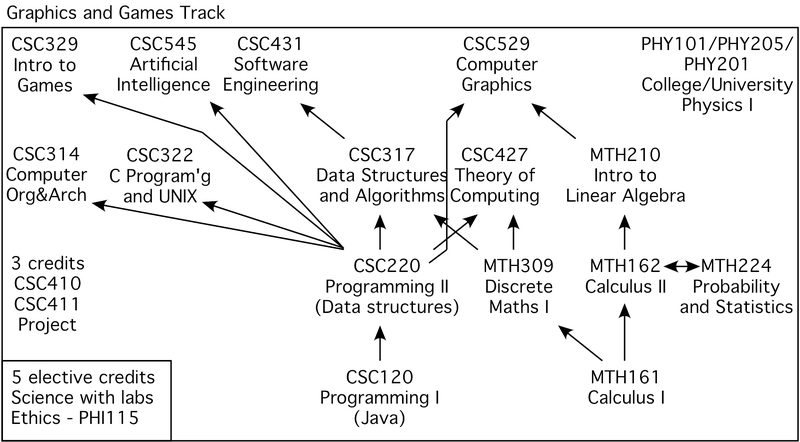 The Computer Science major requires completion of an approved two semester sequence of courses with laboratory . 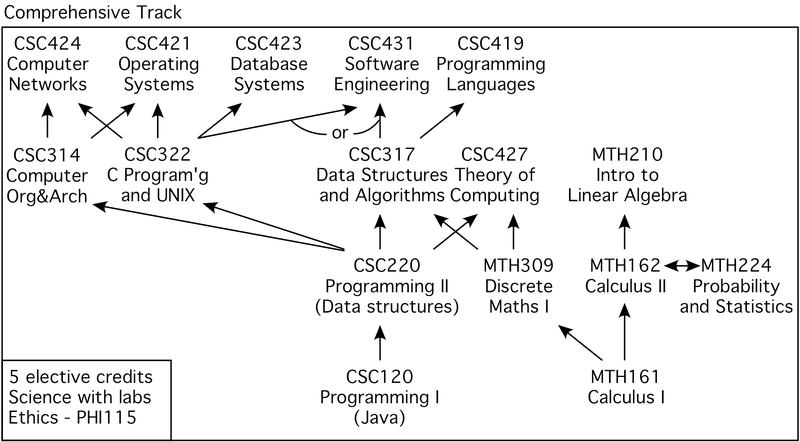 The Computer Science major requires completion of the Ethics course PHI115 - Social and Ethical Issues in Computing.